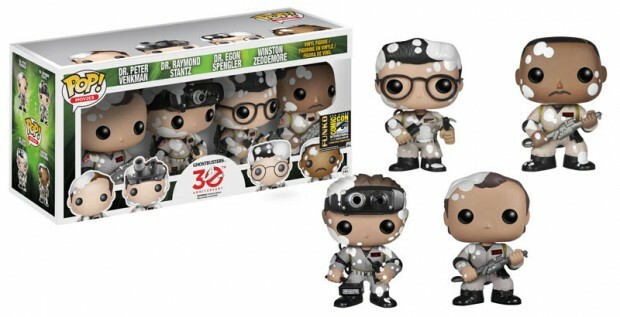 Funko has revealed an awesome set of Pop! 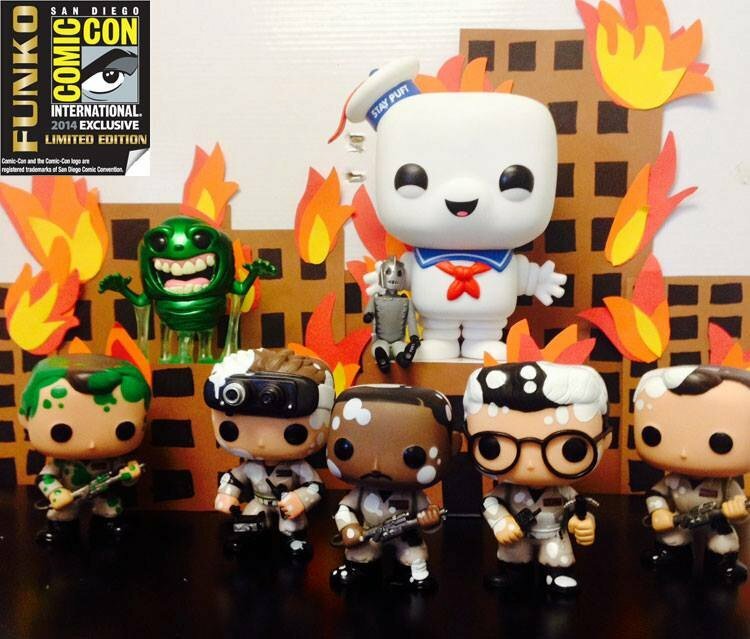 30th Anniversary Ghostbusters vinyl figures to be available at the 2014 San Diego Comic Con. Of course, we have the Ghosbusters themselves — Venkman, Ray, Egon, and Winston — but this time they’re covered with Stay Puft Marshmallow Man remains. 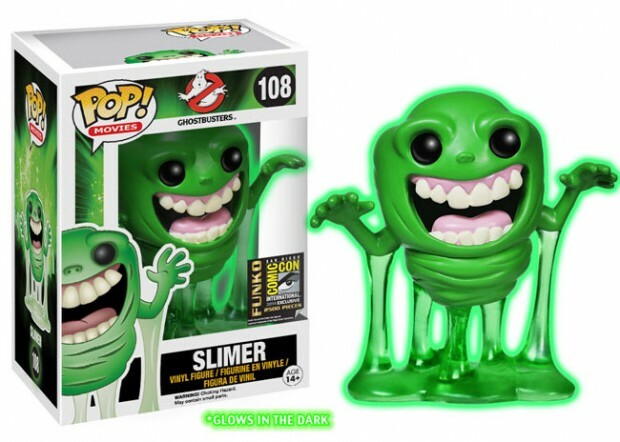 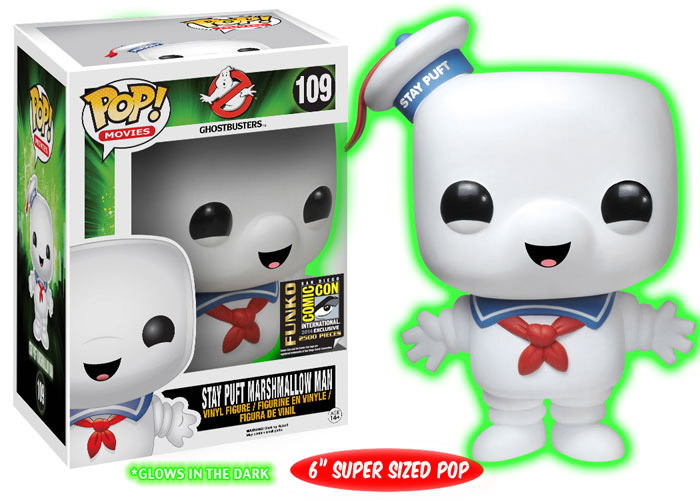 There’s also a cool new Dr. Venkman & Slimer set, a 6″ Stay Puft that glows in the dark, and a glow-in-the-dark Slimer. 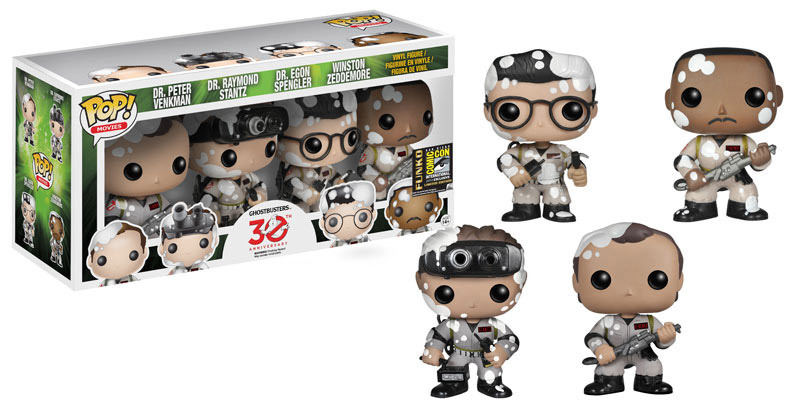 Frankly, we’d just like to have them all.